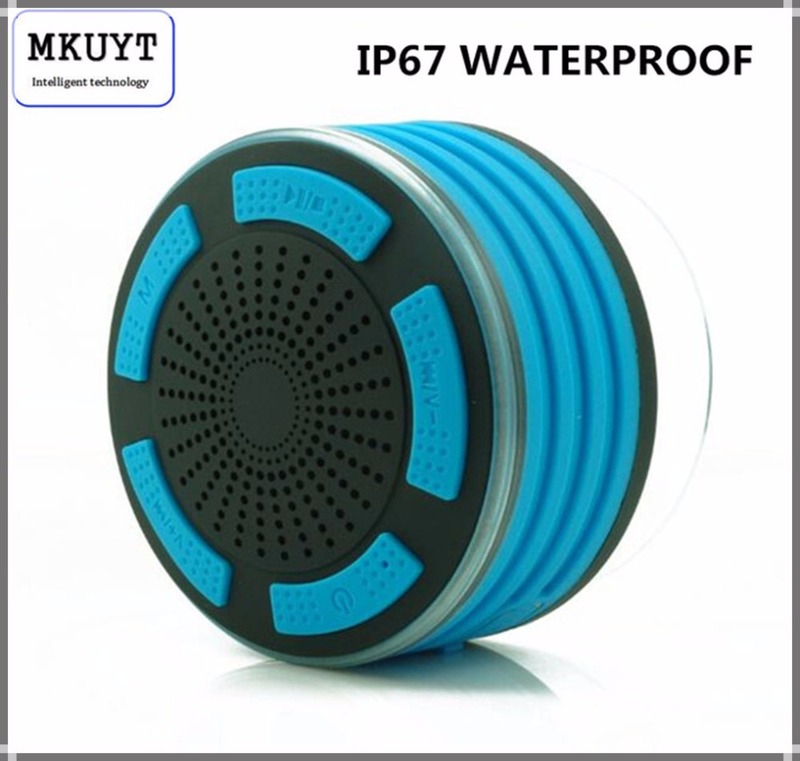 HIGHEST WATERPROOF RATING: IP67 Excellent choice to use around pool, beach, bath, boat, car &golf cart and all water environments. 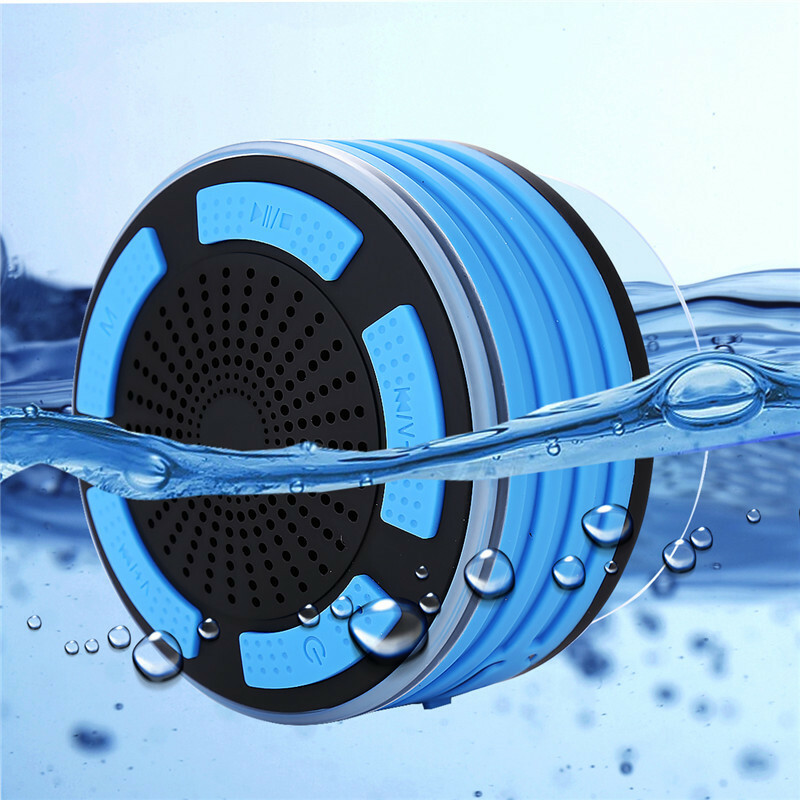 It can be submersed in 3 feet of water, for 30 minutes, without issue. 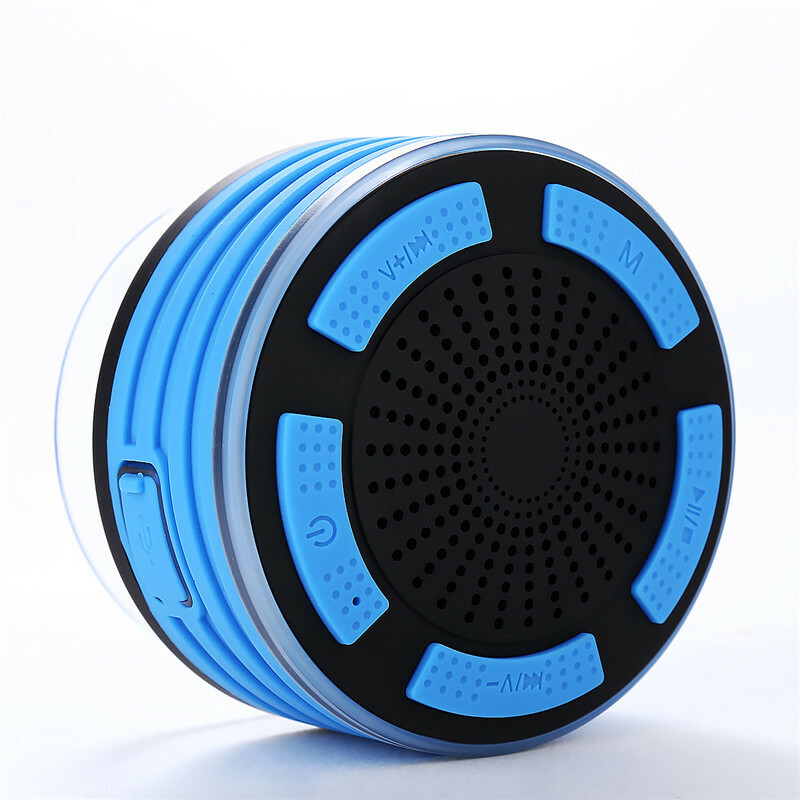 NEW FLOATING DESIGN: Floating on the pool over 24 hours you can swimming and making the mini speaker follow you and play music just around you at the same time. 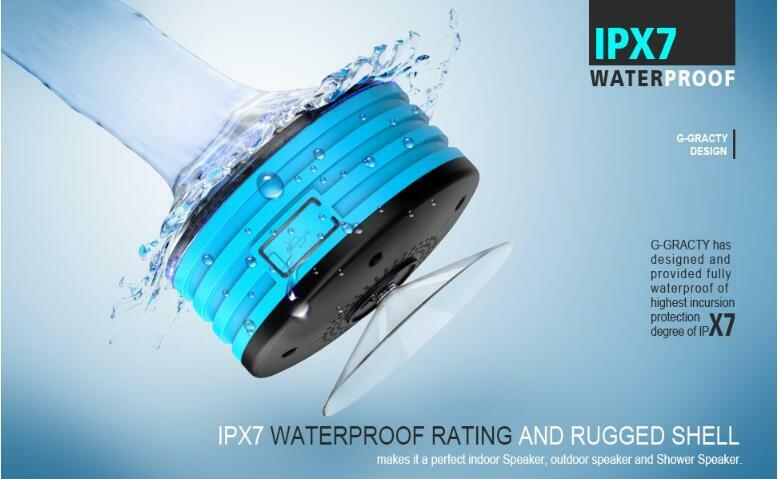 DUST PROOF AND DROP RESISTANCE: soft ABS cover make sure it¡¯s drop resistance and dust proof. BLUETOOTH 4.0 TECHNOLOGY: Compatible with all Bluetooth-enabled devices. 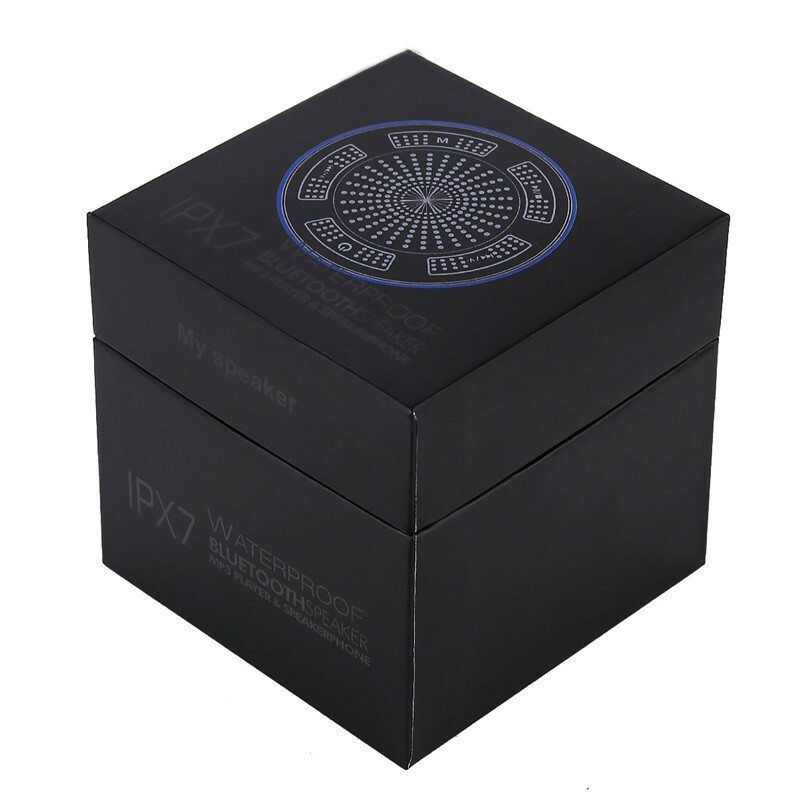 Connect to your iPhone /iPod/iPad/Phones/Tablet/Echo dot in 3 seconds. 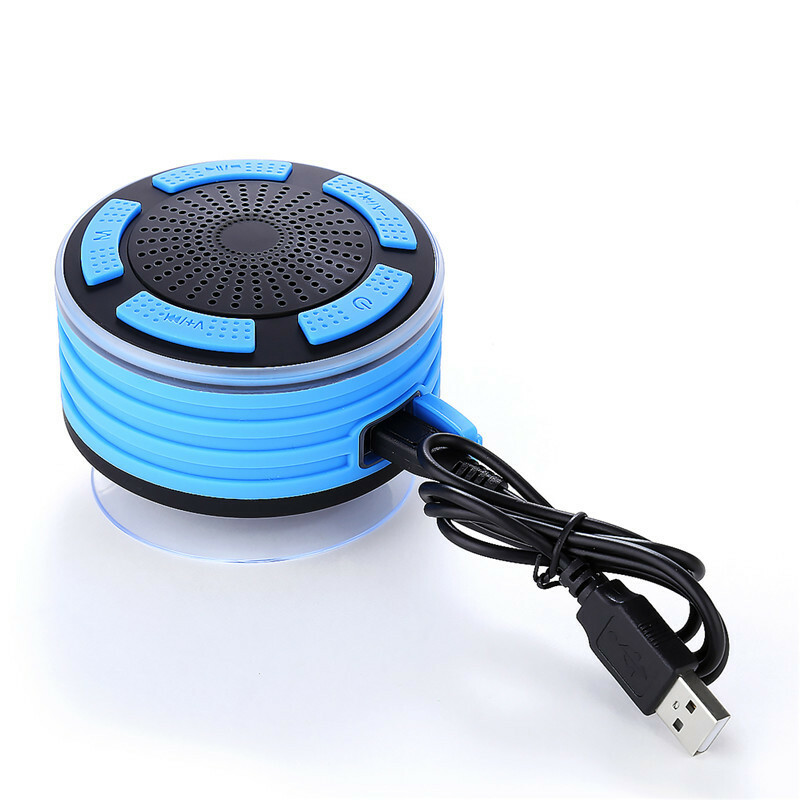 Built-in microphone: Enables use this Wireless Bluetooth Speaker as a speakerphone, so you can enjoy hands-free calling. 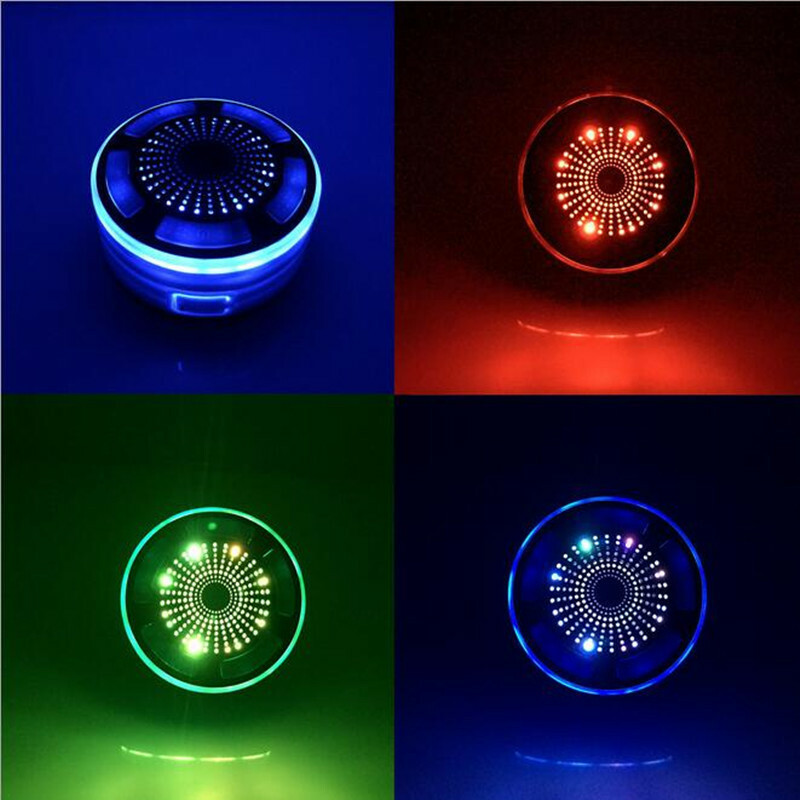 BREATHING LED & BUILT-IN FM RADIO: We help you keep up with the newest BREATHING LED 7 colors bluetooth speaker technology but without forgetting good old FM digital radio! This FM radio tuner WITH auto-scan presets, for easy programming. listening to your favorite stations is only a few speaker button clicks away! 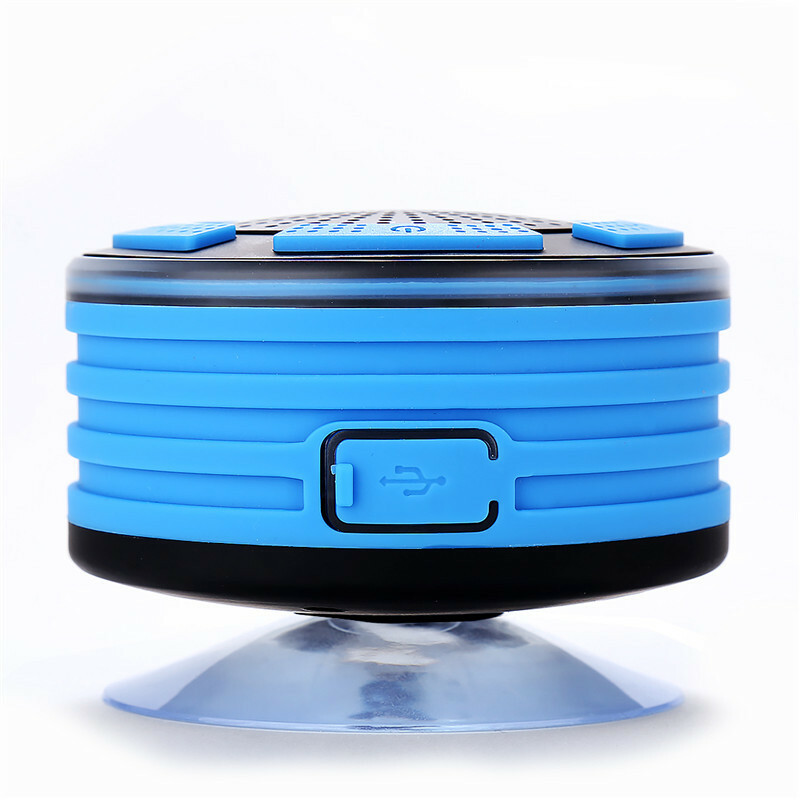 Dynamic clear Sound: The Speaker packs the power of Hi-fidelity, room-filling surround sound in the compact, elegantly portable speaker with super clear sounds. 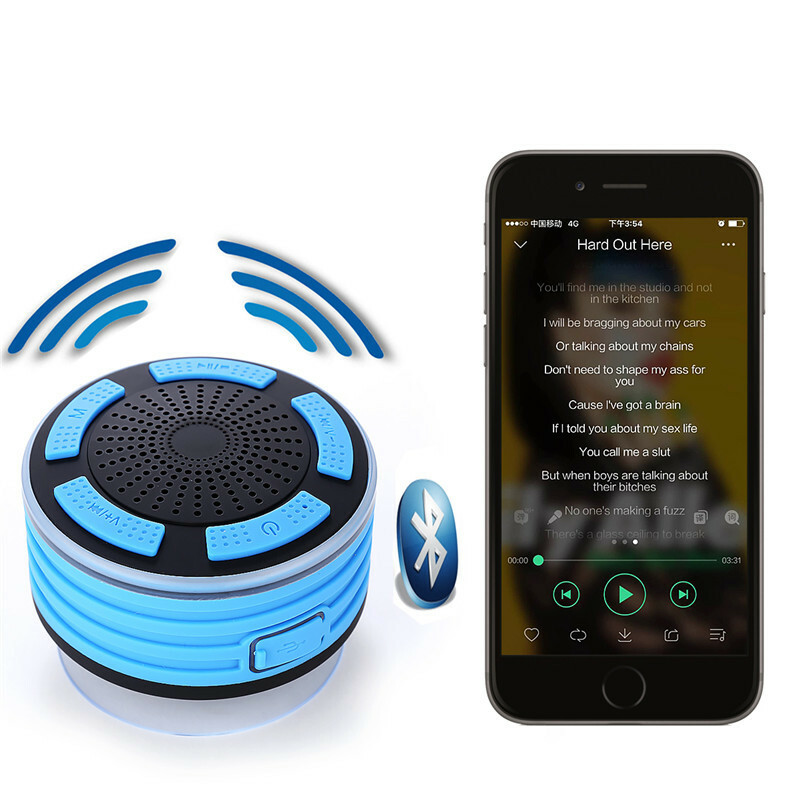 When in active Bluetooth mode, is Wireless Portable Speaker can be used to answer or reject incoming calls and redial numbers. 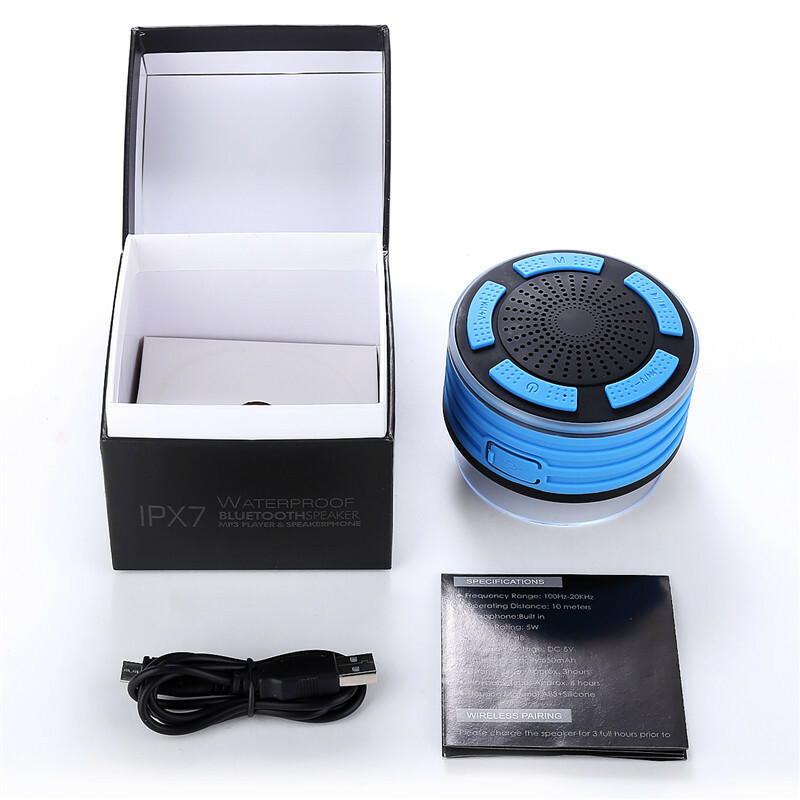 You can pick up your call in bathroom, car, at home or office with hands-free when it is connected to your smart phone. 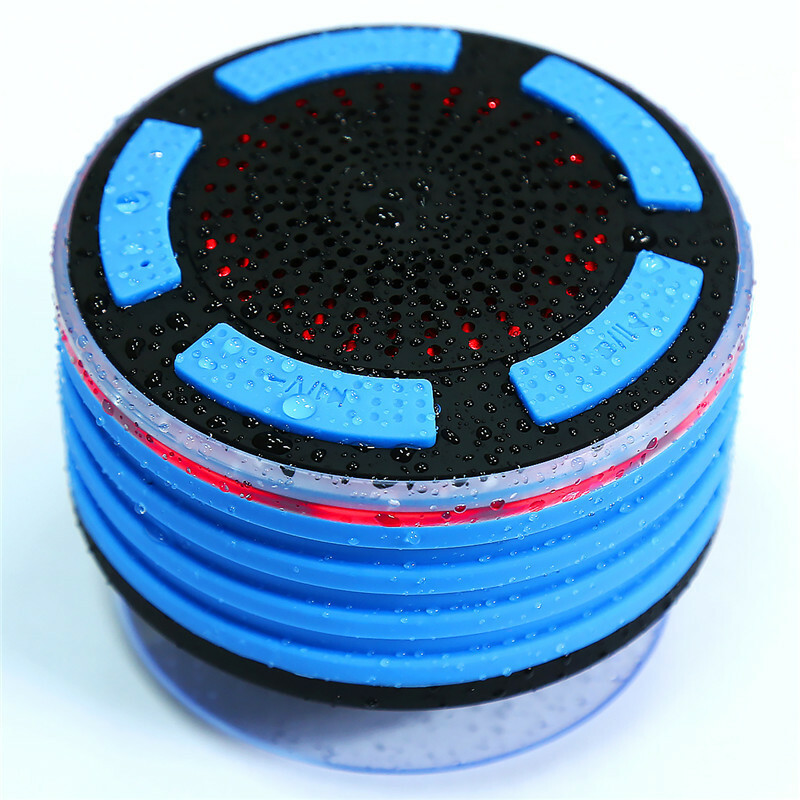 Which designed for sleek simplicity, durable quality make you easy use. 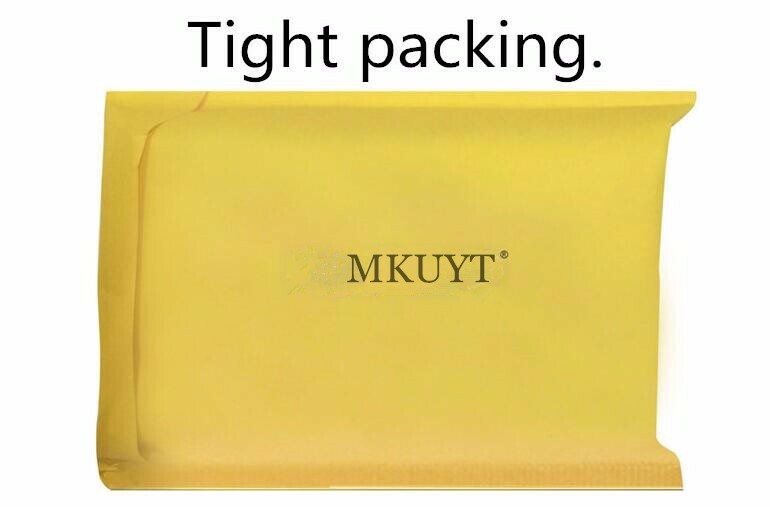 It will be convenient for your life.